AKAMAS BAY VILLAS … EXCLUSIVE LUXURY VILLAS ON THE BEACH FOR SALE PAPHOS CYPRUS! AKAMAS BAY VILLAS … EXCLUSIVE LUXURY VILLAS ON THE BEACH FOR SALE PAPHOS CYPRUS! AKAMAS BAY VILLAS … EXCLUSIVE LUXURY VILLAS ON THE BEACH FOR SALE PAPHOS CYPRUS! AKAMAS BAY VILLAS … EXCLUSIVE LUXURY VILLAS ON THE BEACH FOR SALE PAPHOS CYPRUS! AKAMAS BAY VILLAS … EXCLUSIVE LUXURY VILLAS ON THE BEACH FOR SALE PAPHOS CYPRUS! AKAMAS BAY VILLAS … EXCLUSIVE LUXURY VILLAS ON THE BEACH FOR SALE PAPHOS CYPRUS! AKAMAS BAY VILLAS … EXCLUSIVE LUXURY VILLAS ON THE BEACH FOR SALE PAPHOS CYPRUS! AKAMAS BAY VILLAS … EXCLUSIVE LUXURY VILLAS ON THE BEACH FOR SALE PAPHOS CYPRUS! 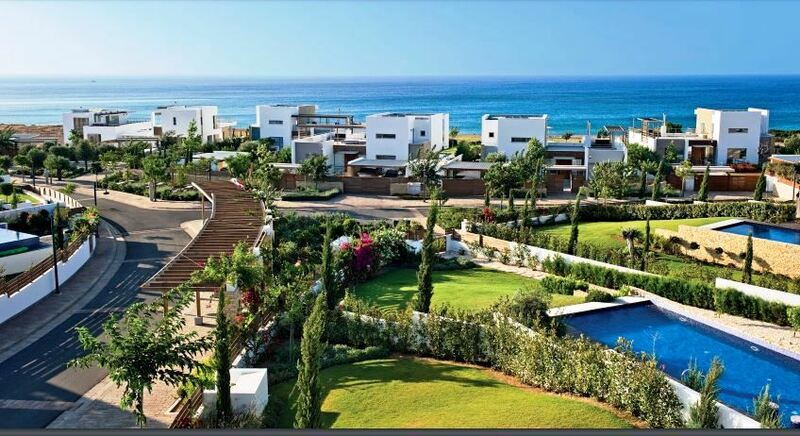 AKAMAS BAY VILLAS … EXCLUSIVE LUXURY VILLAS ON THE BEACH FOR SALE PAPHOS CYPRUS! AKAMAS BAY VILLAS … EXCLUSIVE LUXURY VILLAS ON THE BEACH FOR SALE PAPHOS CYPRUS! AKAMAS BAY VILLAS … EXCLUSIVE LUXURY VILLAS ON THE BEACH FOR SALE PAPHOS CYPRUS! AKAMAS BAY VILLAS … EXCLUSIVE LUXURY VILLAS ON THE BEACH FOR SALE PAPHOS CYPRUS! AKAMAS BAY VILLAS … EXCLUSIVE LUXURY VILLAS ON THE BEACH FOR SALE PAPHOS CYPRUS! At Akamas Bay Villas superior design combines contemporary elegance with traditional Cypriot simplicity, balancing different materials – glass and stone, steel and wood – to create a style both graceful and robust. Unique swimming pools form dramatic centrepieces, while verandas, sundecks and barbecue areas are carefully positioned to suit changing moods and different times. Gardens are individually landscaped to enhance the natural character of each villa, with native trees – olive, carob and cypress – mingling effortlessly with indigenous flowers and herbs to exhale the unmistakable scent of Cyprus. Private spaces, perfectly conceived. Breathe out, relax, enjoy. At Akamas Bay Villas you enjoy the privacy and peace of one of the most exclusive settings in the Mediterranean. The most premium and serene seafront Villas in Cyprus, near the listed and protected Akamas Peninsula. Phase One of this exceptional project is virtually sold-out! Just one Villa remaining priced at €3.5 million. Details on Request. Phase 2 is now in progress to be completed in June 2020. Reserve your Villa now at favourable pre-built prices…Call for more info! Price lists & availability seen in photos section. For more information for the featured apartment and the next phase of available properties within the LImassol Marina call with no obligation 7 days a week or email us anytime.